In this panel we want to connect African Studies and Mobility Studies. 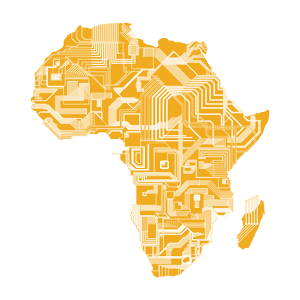 Thus, we look for contributions which reflect about the relevance of the mobility paradigm to African Studies on a theoretical level as well as for case studies which analyse one or several dimensions of mobility. In this panel we want to connect two transdisciplinary fields, i.e. African Studies and Mobility Studies. Since the "new mobility paradigm" was proclaimed by Urry and Sheller in the mid-2000s, scholarly work on im/mobilities has expanded enormously in numerous disciplines. In 2016 the Journal "Transfers" started a special portfolio section on "African Mobilities", arguing that these have not been adequately considered in Mobility Studies so far. At the same time, it can be stated that much theoretical work by scholars of Mobility Studies has not yet been taken into account by scholars of African Studies who have been and are working on themes related to mobilities in many ways. Further, oftentimes the distinction between mobility, migration and other related concepts such as transnationalism and translocality remains unclear. We therefore explicitly look for contributors who situate their work in Mobility Studies. While we would be happy to receive contributions which reflect about the relevance of the mobility paradigm to African Studies, we are also interested in papers which offer empirical cases that are analysed from a mobility framework. The case studies might relate to one or more dimensions of mobility such as physical, material, intellectual, imaginary or virtual. Papers which address how various forms of mobilities are interrelated within one context are of special interest to the discussion. Any regional context is of interest to this panel and we welcome historical as well as contemporary case studies as long as they are grounded in a Mobility Studies perspective.